Snoring and sleep apnea are two related but different conditions that cause different sets of issues. Both have to do with partial or complete obstruction of the upper airway during sleep, causing sleep-disordered breathing. Snoring, which is benign, can progress to obstructive sleep apnea, which can be serious. During normal sleep, an individual should be able to breathe through an unobstructed nose and/or mouth, making little noise. However, this normal breathing may become obstructed at one or more of several anatomic points in the process. The nose may become obstructed due to a deviated nasal septum or enlarged turbinate bones. Normal breathing through the mouth may become obstructed due to an enlarged tongue, an elongated soft palate, or a short or deficient upper or lower jaw. Snoring occurs when the tongue (which is attached to the lower jaw) or the soft palate (which is attached to the upper jaw) begin to fall back against the back wall of the throat, or the pharynx, causing a vibration which creates a noise, sometimes a very loud noise. While snoring doesn’t cause any serious health problems for the snorer, it can significantly disrupt the sleep of other individuals within hearing range, leading to sleep deprivation. Obstructive sleep apnea, or OSA, on the other hand, can cause significant health concerns. OSA occur when, during sleep, as the muscles of the face and jaws relax, the tongue pushes back against the soft palate, completely obstructing the airway. The result of this is apnea, or absence of breathing. When this occurs, snoring stops, since there is no passage of air into the lungs. This may last anywhere from a few seconds to more than a minute. During this time, the oxygen level in the blood is progressively reduced, and the brain perceives this potentially dangerous drop in oxygen. As a result, the brain then wakes the individual up out of a deep sleep just enough to get the person to breathe. Then, one or several gasping breaths occur, raising the oxygen level and allowing the individual to return to sleep. Then the cycle begins again, and may happen anywhere from a few to dozens of times per hour, resulting in fragmented sleep and daytime drowsiness. If it remains untreated, OSA can lead to high blood pressure, heart problems, stroke and a host of other heath concerns. OSA is diagnosed by polysomnography, an overnight monitored sleep study in a laboratory. The goal of treating OSA is to open the airway to allow normal breathing during sleep. This may depend on the location of the obstruction and the severity of the apnea. If the obstruction is in the nose, nasal surgery such as a septoplasty or turbinectomy may be indicated. 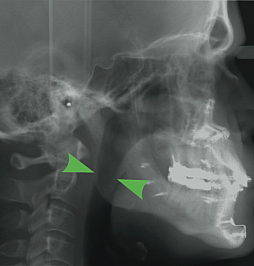 If the obstruction is in the throat, treatment is aimed at bringing the soft palate and the tongue forward, away from the back wall of the throat, opening the “posterior airway space”, or PAS. This may be accomplished in several ways, from nonsurgical CPAP or oral appliance therapy, to a variety of different surgical procedures. CPAP, or continuous positive airway pressure, is generally the first line of treatment for moderate to severe OSA. CPAP involves wearing a nasal or facial mask during sleep, which is connected to a machine providing air under pressure to keep the airway open. This is often effective and well-tolerated. However, some patients find it difficult to tolerate and cumbersome. 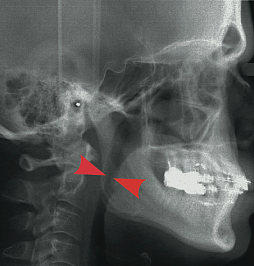 For benign snoring, and for mild to moderate OSA, oral appliance therapy may be indicated. This involves the laboratory fabrication of a custom dental device consisting of two parts, one to engage the upper teeth, and a second to engage the lower teeth. The two parts are themselves connected, and a gear mechanism allows for the precise adjustment to advance the lower jaw to eliminate airway obstruction by the tongue. This is particularly effective for those with short lower jaws, CPAP intolerance, or to be used as a travel appliance. However, some individuals seek a solution for OSA which will allow them freedom from nightly CPAP or oral appliances. Dr. Bates provides surgical procedures for treatment of OSA, depending on the location of the obstruction and the severity of the apnea. Studies have shown that maxillomandibular advancement, or MMA, has the highest success rate in the treatment of severe OSA. MMA involves performing orthognathic (or “telegnathic”) surgery to make a series of cuts, or osteotomies, in the upper and lower jaws, allowing them to be separated and significantly advanced, or moved forward. Because the soft tissues in the airway which cause the obstruction, the soft palate and the tongue, are attached to the jaws, this results in a significant increase in posterior airway space which can be noticed dramatically in the before and after x-rays seen below. If you or a loved one are concerned about your snoring or sleep-disordered breathing, Dr. Bates will perform a detailed examination and develop a personalized treatment plan specifically for you. For more information, check out the AAOMS webpage on obstructive sleep apnea.